← HB, Prince Charles !! I grew up watching The Wonderful World Of Disney (started in 1954 and ran under various names until 2005!!) every Sunday evening, featuring Walt Disney as our host. Walt introduced the feature film each week and there was always a lesson in there somewhere. There was Davy Crockett, Daniel Boone, and a lot of real-life animal shows, and sometimes some “Silly Symphonies”, but Mickey cartoons were not the main feature. The Mickey Mouse Club, with Annette and the gang, ran from 1955 to 1959, with reruns shown every day right after American Bandstand…I was there. Mickey always hosted, of course, and often one of the Mousketeers would go to the Vault (Meeska, mooska, mousketeer…mouse cartoon time now is here) and we’d be treated to a Mickey cartoon. Still, the members of the Club were the stars, and though I wore my mouska-ears, it was Karen and Cubby that I came to see. Walt Disney World in Florida opened in 1971, but our family didn’t make it down there until 1984, and that’s when I Really fell in love with Mickey. The Disney Channel debuted as a premium cable channel in 1983, and now Minnie, Mickey and the gang are good friends with my grandchildren. Our family has been to WDW over a dozen times and we’ll be back in March, 2019. For us, the Magic is Real…Every Time. 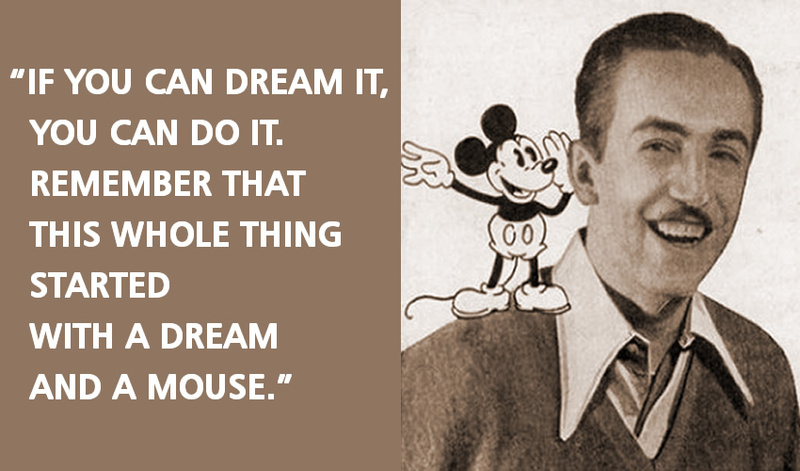 It has always been the Man himself, Walt Disney, who is my Hero. What a legacy this guy has, and what an inspiration to us all. Yet he gives all the credit to Mickey Mouse, so I will, too. Happy Birthday, Mickey Mouse! See ya real soon!